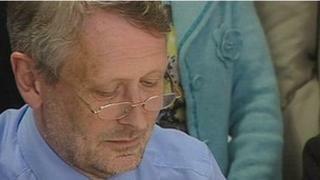 Leicester's elected mayor Peter Soulsby has sacked a panel which recommended he get a £44,000-a-year pay rise. The non-political body, which proposed the rise as part of a wider review of the city council, had been criticised for not being fully independent. Sir Peter said it had made fundamental costing mistakes and another panel would be appointed. But outgoing chairman Martin Traynor stood by their work and said a new panel would reach the same findings. The panel also included Dominic Shellard, vice chancellor of De Montfort University; businessman Mike Kapur and Pat Zadora, who works in the charity sector in Derbyshire. The report which, along with the pay rise, recommended scrapping the role of Lord Mayor and cutting the number of councillors while raising their allowances, was leaked earlier this week. Sir Peter, would is currently paid £56,000 a year, said that once he had time to study it, he found its conclusions would lead to "totally unacceptable" extra costs of up to £200,000. He added: "They are wrong about cutting the number of councillors because we need them to represent the people and hold me to account. "They have got it wrong about abolishing the role of Lord Mayor because that is a vital part of the history and tradition of this city. "And frankly they have got it wrong about the overall costs of their proposals." He said he would look outside the area for another panel or organisation to reexamine the issues. Mr Traynor, from the Leicestershire Chamber of Commerce, said the committee had used widely recognised methods and had reached its conclusions independently.